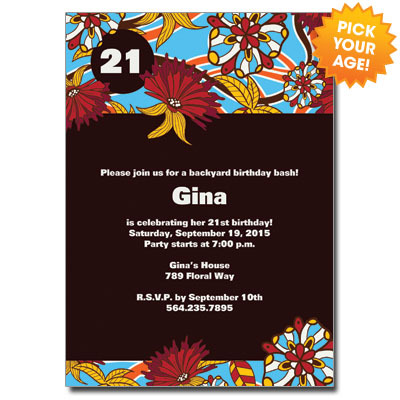 Send a colorful invitation for your birthday party with this fun retro design. Your age is displayed prominently in the top left corner, surrounded by a colorful pattern of flowers. Card measures 5x7.